Nestled in a rainforest setting with bar fridge, tea / coffee making facilities, daily room service and wash basin vanity unit. Shared bathroom facilities close to rooms on the same level are shared by just a small number of other guests. Nestled in a rainforest setting with daily room service and wash basin vanity unit. Shared bathroom facilities close to rooms on the same level are shared by just a small number of other guests. Featuring panoramic mountain views or rainforest views, balcony with outdoor seating, private bathroom and daily room service. 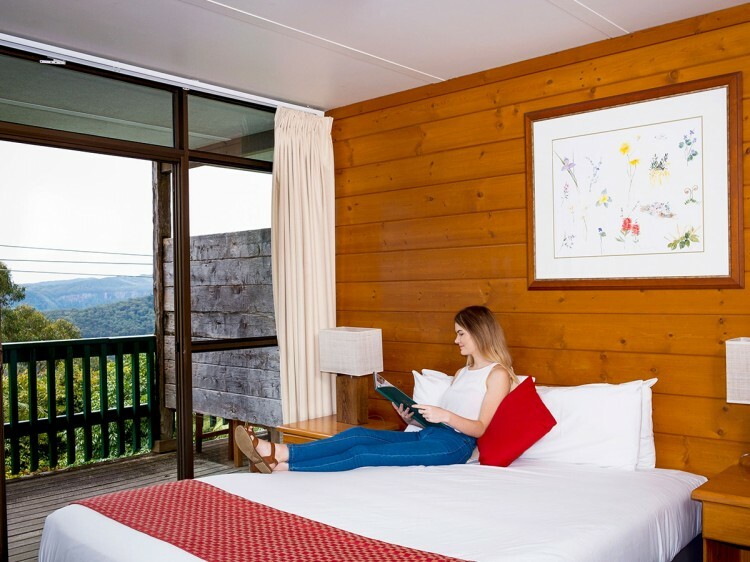 Newly refurbished rooms with all new furnishings, mountain or rainforest views, private verandah with outdoor seating, ensuite bathroom, wooden-caged pendant lighting, exposed stone and wooden beams and high ceilings. Amazing views of the Coomera & Numinbah Valleys, large balcony with outdoor seating and barbecue, ensuite with spa bath, gas flame fireplace,self-contained kitchen with gas cooktop and dishwasher, plasma hi-definition TV, mini-stereo, DVD player and laundry facilities.